This GSM repeater amplifies received signals of all networks which considerably enlarges the action range. Especially in rooms where GSM- reception is restricted or even impossible, this is very important. Often this is the fact in buildings and constructions out of concrete and steel. 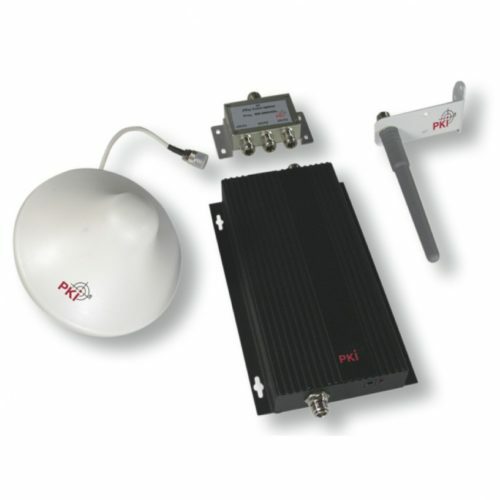 The PKI 1200 repeater is designed for specific application and ensures successful data exchange at full signal strength. It comes with power adapter 220 V AC / 12 V DC, instruction manual incl. circuit diagram, installation material and antenna.